The Comic Book Lounge + Gallery, your one stop source for comics, graphic novels and original art + Guerilla Printing, the creative community’s online destination for digital printing + The Toronto Cartoonists Workshop, the ultimate source for learning the craft of making comics, have created an integrated comic consumption and comic creation hub! Now it’s time to celebrate this epic union by inviting all comic fans, comic artists and anyone who answers the call to create to join us at our official launch party AND check out the work of our featured gallery artist for April: Marvel cover artist Mike Del Mundo! A live DJ will be present to spin the tunes & both alcoholic and non-alcoholic beverages will be available for purchase! 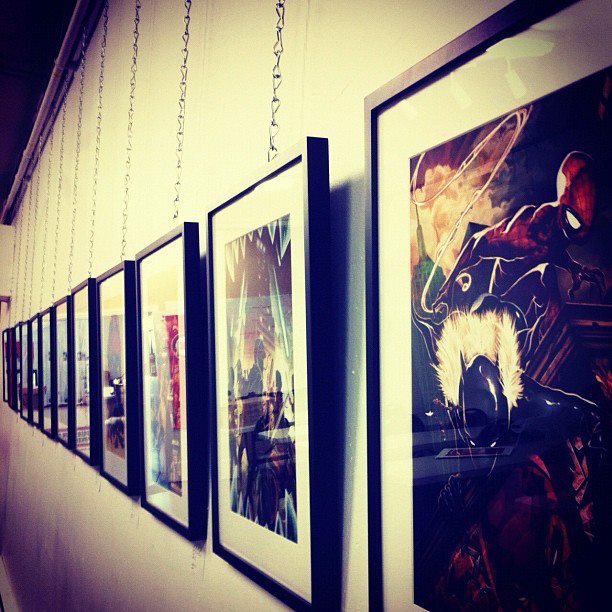 Please note: The Art of Mike Del Mundo display will be available for viewing until mid-April, so even if you can’t make the Grand Opening Party, you can come by and look at the display anytime during The Comic Book Lounge + Gallery’s regular business hours.